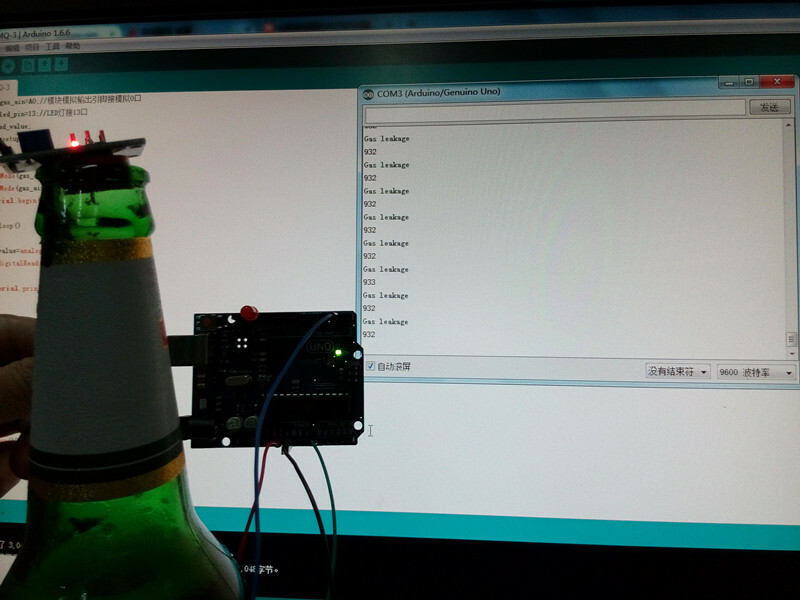 In this project, we will use Arduino to get alcohol concentration value from MA-3 sensor module and display the data to PC. 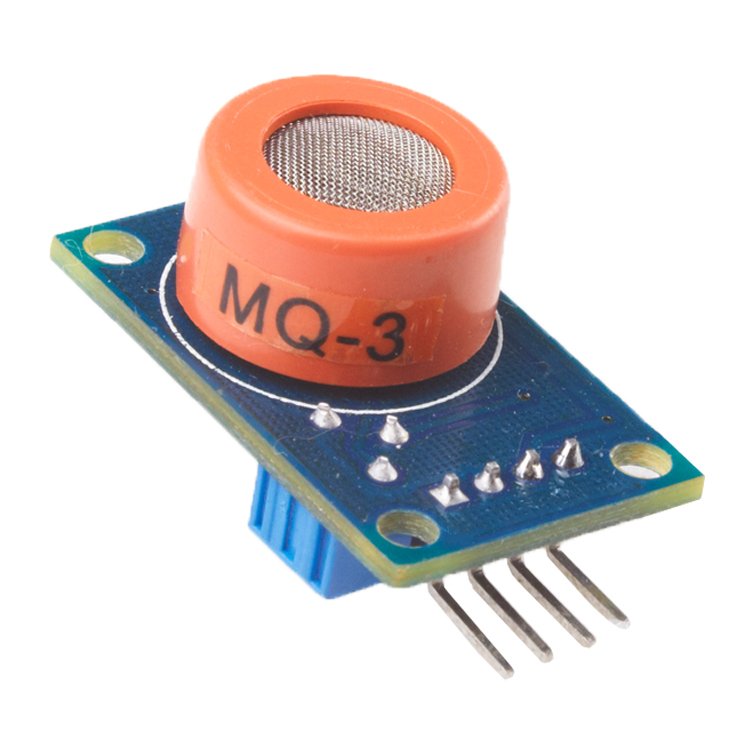 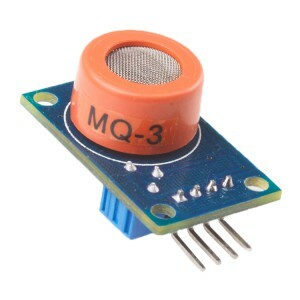 When concentration is more than some Threshold ， LED will flash. 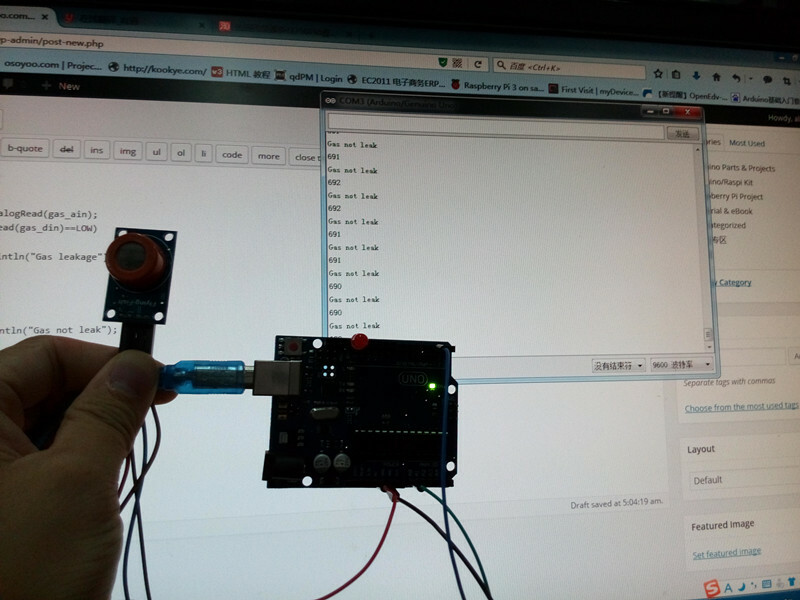 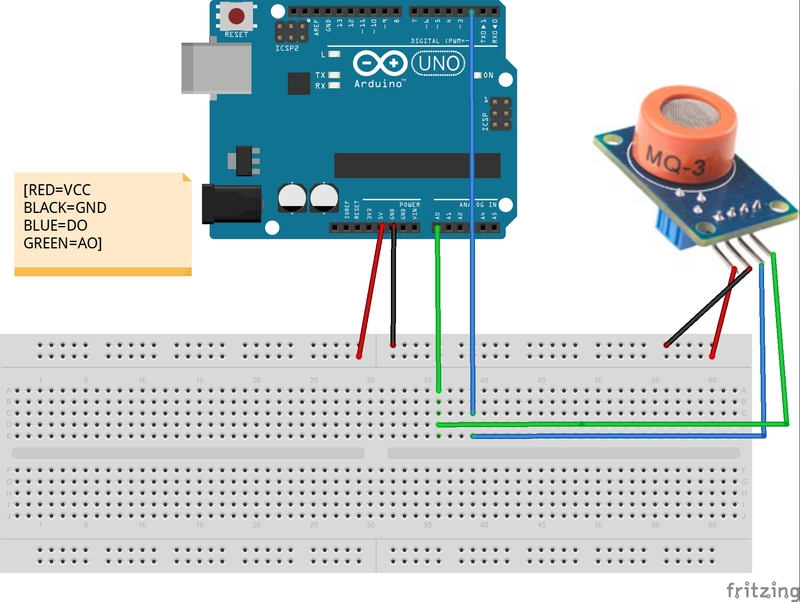 Load the code into Arduino, put the sensor in normal air, the serial terminal window will show “Gas not leak” and show some small alcohol value, the LED is off.